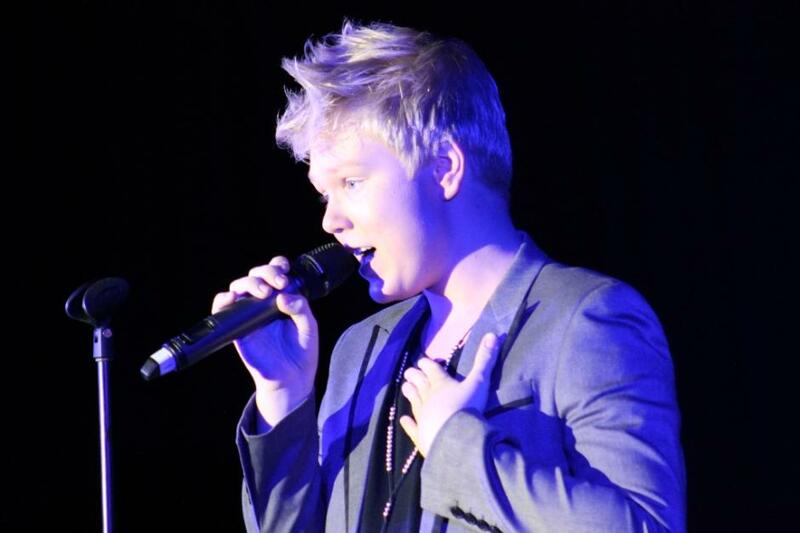 Jack Vidgen on Friday evening at Songs for Soibada III. Picture by A J Guesdon. The village of Soibada in the highlands of Timor Leste has granted Pittwater the honour of a Friendship Agreement. 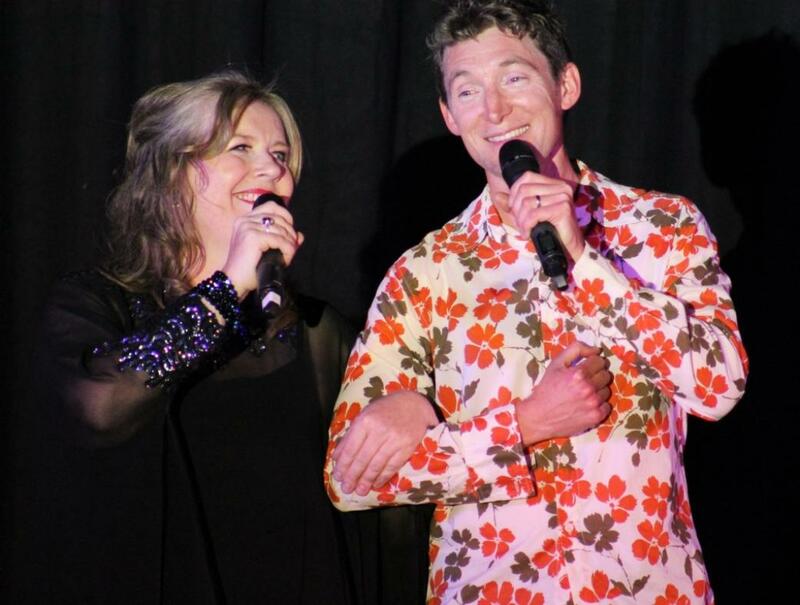 On Friday evening beautiful songs, contemporary classics and originals performed by some of the most talented vocalists and musicians in Australia were heard by an appreciative audience who, along with these artists, hope may be heard in the place they were also sung for and to. Wow is the only word that covers Friday evening at Warriewood’s Maria Regina Catholic College and the array of songs and entertainment experienced by those who attended the third concert to support our community project, Pittwater Friends of Soibada. A wonderful mix of Simon Hyland reprising his role as Peter Allen had everyone jumping out of their seat as he shimmied between audience members to ‘Rio’ and then made spines straighter with ‘I Still Call Australia Home’, the ethereal Samantha Shaw raising the roof a few feet higher with her soaring rendition of ‘Don’t Cry for Me Argentina’ among other superlative theatre songs, while the Crows Feet Crew led by Shane Withington had people up and dancing to great blues/country originals and covers from a bunch of likely lads to culminate. 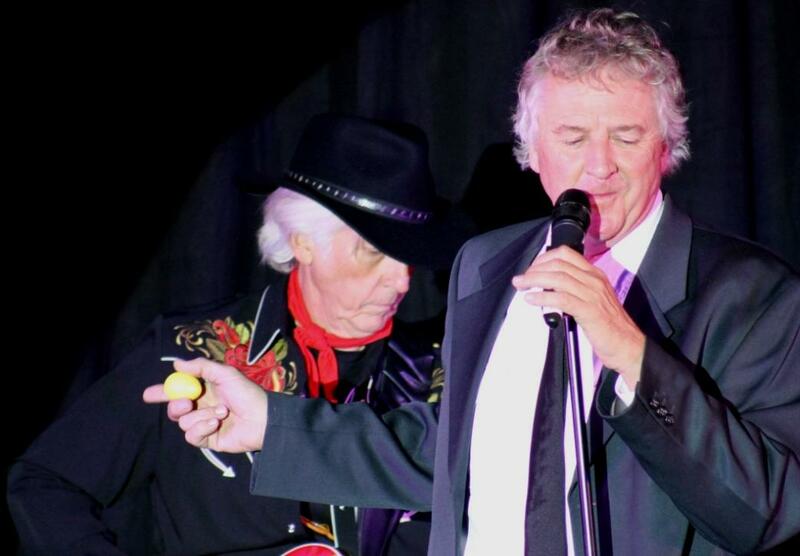 The evening opened with a man who once a prefect at Pittwater High School, eptiomised the Australian Bush spirit in the Man from Snowy River, brought quality to venues with his Frank Sinatra show, and currently is touring ‘Now We’re Swinging!’ to high acclaim. Tom Burlinson opened with the penultimate ‘New Day’ a song that allows his vocal range to show its full extension. He followed this up with the tune he rarely gets off stage without singing due to his superlative tribute, ‘New York, New York’. The Lamont Studio Dancers tribute to Beyounce was a vibrant skilled display. Dale Burridge and Danielle Everett, both of whom have taken Les Misérables to new heights on the West End and have been celebrated here for decades, sang duets as well as treated all to solo performances that sent shivers up the spine. Keiron Conroy and David Wooltorton were joined by their friend Josh sang and played contemporary classics to resounding applause. Rohan Senior, although a singer too, acted as MC for the evening. Good evening everyone and welcome to Songs for Soibada! Welcome also to our special guests, Ambassador Abel Guterres and Mrs Ana Paula Mok Guterres and Consul General Maria de Jesus, some of who have travelled long distances to join us tonight. Monday 20th of May marks 11 years since Timor Leste gained Independence and tonight we begin our celebrations here in Pittwater! There are so many people to thank for making this evening a possibility. Our fantastic performers who have once again donated their time and talents. Sam Shaw who has put the concert together. Pittwater Council, Pittwater Parish, Pittwater Rotary, the staff and students of Mater Maria and of course the tireless volunteers – and you - the Friends of Soibada! This project is very close to my heart – I do consider it a calling and something I am destined to do. In 1999 I began a journey, a journey I wasn’t too keen on taking at the time, but it was something that changed the course of my life and has had far reaching consequences. It was the path to a friendship that was to develop not just between me and the small village of Soibada in Timor Leste but a friendship that has grown to embrace the entire community of Pittwater at so many different levels. The amount of support we are receiving form you in this community is absolutely tremendous. Soibada was selected for Pittwater by the Timorese Government. In 2010 a Pittwater Council team visited Soibada to formalize our friendship agreement. This project actually was initiated by the small school of Maria Regina in Avalon. The staff and the children should be acknowledged for their enthusiasm and interest beyond the privileged area of the Northern Beaches. With the support of Pittwater Catholic Parish, local churches of all denominations, community groups, Pittwater Council and Rotary, it has since grown to encompass the wider community. It is touching people of all ages in different ways. Last year two teams from the Northern Beaches visited Soibada. Our volunteers included medical and teaching personnel from Pittwater who established a mentorship program and volunteer scheme. Pittwater Rotary Club was represented by award winning architect, Emile Jansen. Film maker David Haythornthwaite recorded various short documentaries for education and publicity purposes. We even had some training programs in haircutting run by Ian Laidlaw of Scally’s in Avalon. Ian gave eight young people the basic techniques prior to them attending small business training courses that we fund in Dili. Already one young man from the group is successful and charging $2 a hair cut! Australia has had ties to East Timor for far longer than most people are aware. – In WWII over 40,000 East Timorese died as a result of assisting Australia. We promised them friendship and protection ……. And we let them down. The ‘Battle for Timor’ is not a story you’ll find in our media or in our school’s curriculums. Thousands of Australians are totally ignorant of this unique relationship. In 1941, when the Second World War spread rapidly into the Pacific a few hundred specially trained Australian commandos, “Sparrow Force”, were sent to Portuguese Timor to protect Darwin from Japanese invasion. This had the effect of compelling more Japanese forces to engage in combat on Timor. The Australians were befriended by the local people, who fed, housed and nursed them. They survived only because of the generosity of the East Timorese who sent their young sons, aged ten to sixteen years, to guide, to feed them - and to spy for them. The Australian soldiers were eventually withdrawn from Timor and they described the day they left Timor as their worst, because they knew what awaited their loyal Timorese friends. Over 40,000 Timorese were murdered by the Japanese in reprisal. No other nation has lost so many civilians as a result of helping Australian soldiers. In 1944, the RAAF also dropped leaflets over Portuguese Timor promising liberation from Japanese forces and stating that Australia would never forget the people of Timor. Australia forgot those promises. We forgot them in 1975 when the Indonesians invaded, killing at least 200,000 East Timorese. Only since 1999 has the Australian Government begun to practically acknowledge the historical debt it owes the East Timorese people and honour those promises. 1. Construction and physical improvements to existing facilities. We are currently funding educations programs for the community with the assistance of Timorese run NGOs. The Soibada Project aims to utilize NGOs already based in Timor Leste and staffed by Timorese people. Appropriately trained local educators, nutritionists and other medical staff are better placed for liaising with the community of Soibada, not just geographically, (saving money that would be spent on airfares for Australian volunteers – money put to better use within the village) but also linguistically and culturally. Working under the philosophy of “Give the man a fish and feed him for a day; teach a man to fish feed himself for life.” our goal is to facilitate the change so that it comes from within the Soibada community. We must enable the people to help themselves and restore the dignity that has been stolen from them during years of opression. They need ownership of any project and the impetus for change must be internal. All of those who showcased their favourite songs on Friday evening expressed their thanks for being able to support this great firendship and its many projects. The large crowd attending indicates many here care for those in that beautiful village of Soibada in the highlands of Timor Leste. Most of us may never get to speak face to face to the brave people who have shown so much courage and dignity over decades and now, resilient to the core, are rising and shining again. On Monday 20th of May (tomorrow) Timor Leste will be celebrating her 11th anniversary of Independence. This would be a great day for you to visit the Pittwater Friends of Soibada website and see how you too can contribute your friendship. Those who attended and those who performed fill our Pictorial page this week. Samantha Shaw (OUT LOUD! Singing and Voice Coaching for adults and children). Dale Burridge and Danielle Everett, brilliant again this year. Left to right: Mrs Ana Paula Mok Guterres, Hon. 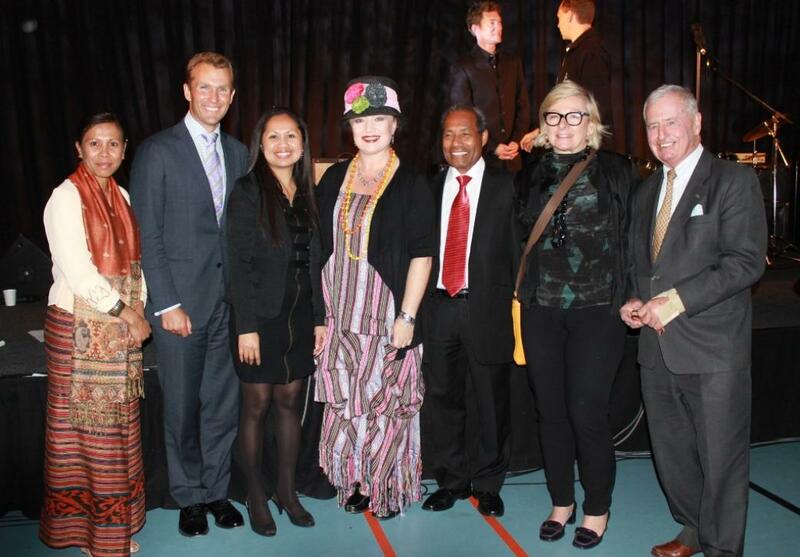 Rob Stokes - MP for Pittwater, Consul General Maria de Jesus, Tamara Sloper Harding - Chairlady of Pittwater Friends of Soibada, His Excellency Ambassador Abel Guterres, Cr. Jacqueline Townsend - Mayor of Pittwater, Cr. Bob Grace Deputy - Mayor of Pittwater. Songs for Soibada stalwarts Samantha Shaw and Simon Hyland. Paul Wilson (one of the 'Glorious Brothers' according to SW) and Shane Withington of Crows Feet Crew - currently getting airplay in Oz, UK and US for their music.